These pans look great for making more individual-size Christmas baked goods. 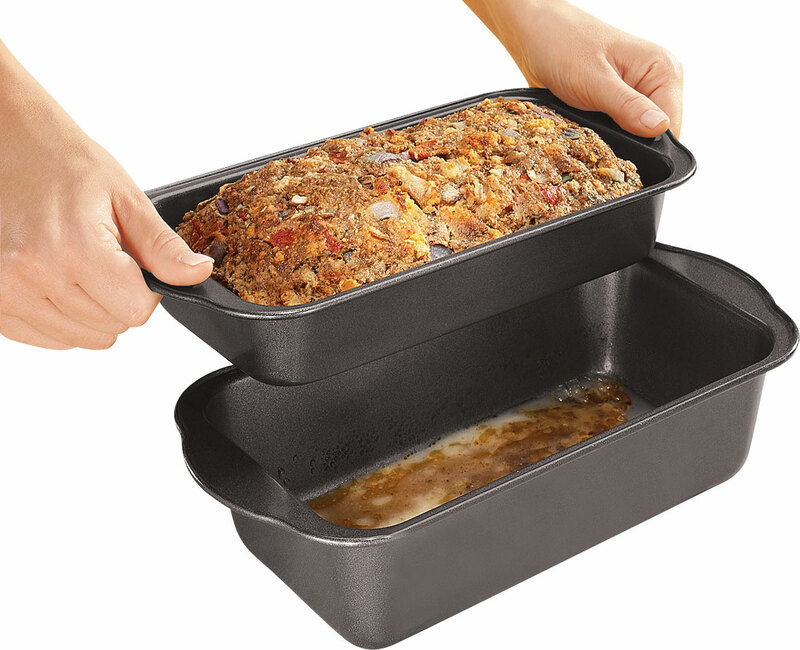 I've used my regular size loaf pan for food gifts in the past; but it was really too much for one person. I have wanted one for a while to make my grandkids banana bread. I bake mini cakes and now I can do eight at a time instead of singly. Perfect size for our family - I can bake 8 and freeze them for future meals. Great for smaller portions and for food gifts. 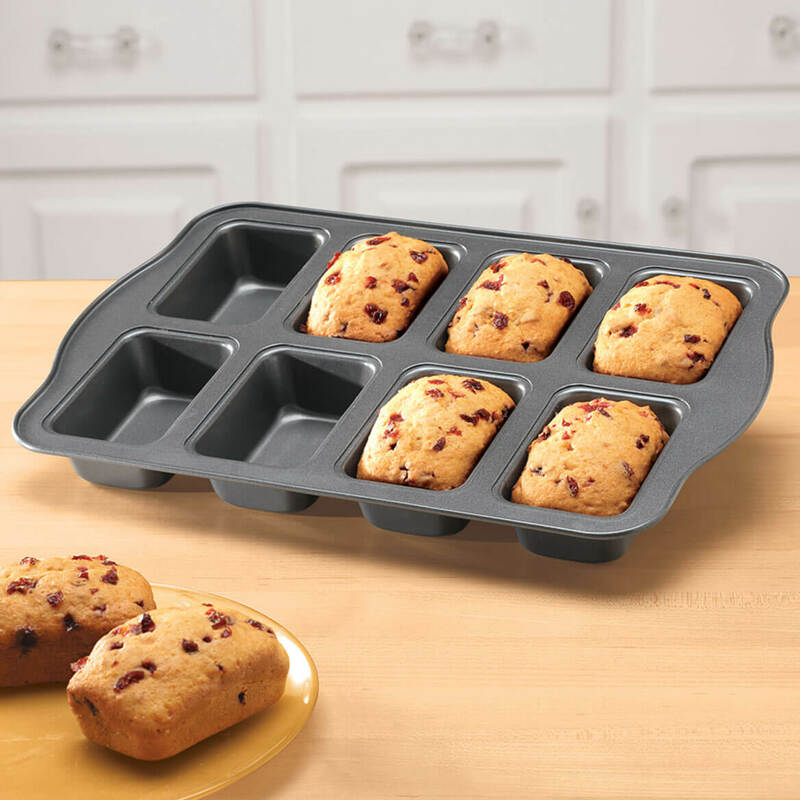 I chose the Mini Loaf Pan as my sister saw this and said she'd like it for Christmas. She said that she'd do mini meat loafs for her husband so he could take one to work with him for lunch and freeze the rest to use as needed. I make mini loaves as part of my Christmas gifts to others. This pan enables me to make more of them at a time. This makes small size meatloaves. Love it. Great idea. Works well. Just wish the loaves were a bit larger, maybe 4 to a pan. It is hard to find the individual small size to make breads for others. Mini loafs are great gifts for family and friends. 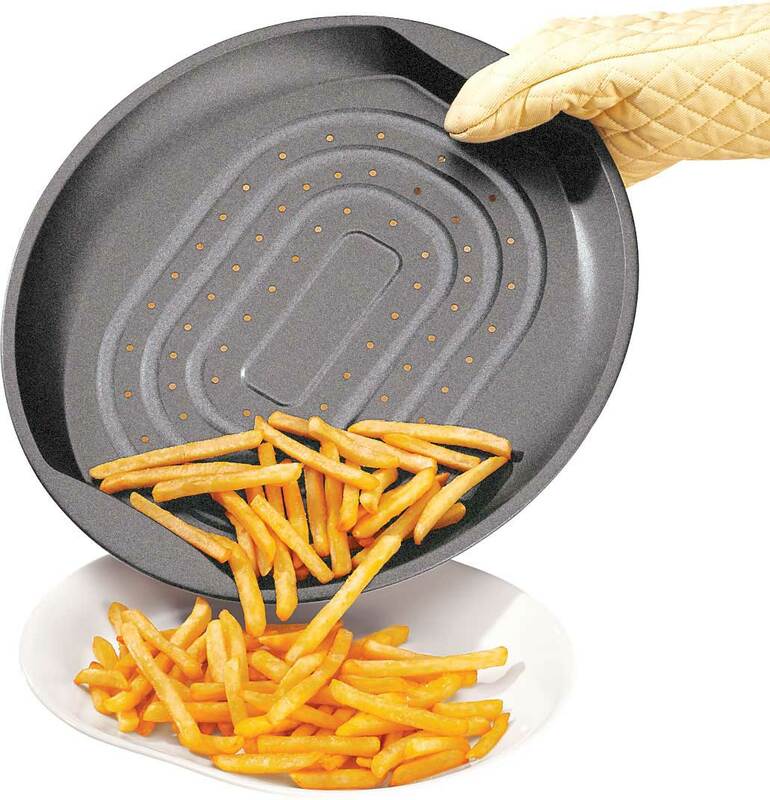 You can also make different kinds of bread in one pan. To make little gifts for people like different breads. Husband likes to bake breads and use various size pans. Making lemon loafs for a bridal and groom shower. 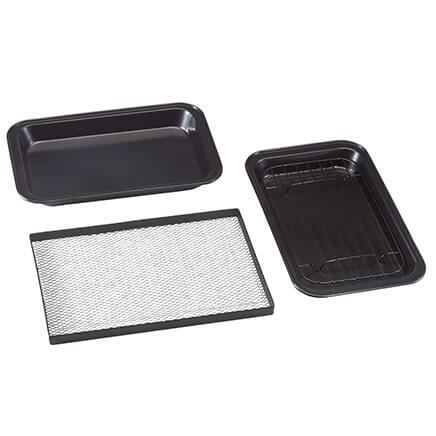 I use this for cornbread and for small cakes or breads. Ease of making multiple small nut breads for gifts. I love meatloaf but too often mine falls apart. These make the best mini loaves. Looking for this pan for awhile. Purchased copper brownie loaf pan and returned it. I wanted something to bake mini fruit cakes in. It will fit in my toaster oven. My Grandson loves to bake and he wanted this!! 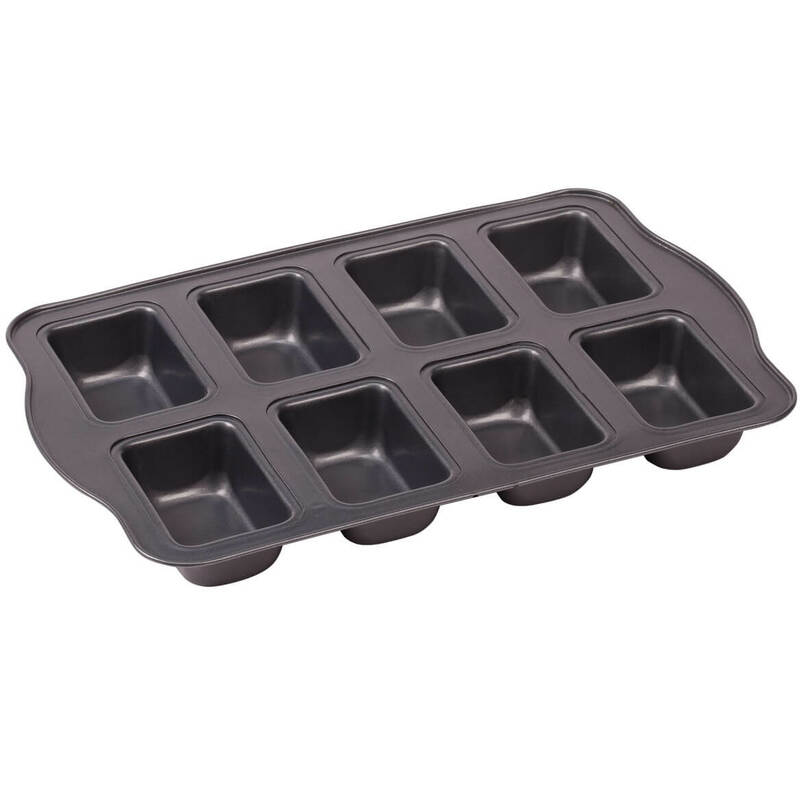 where is this mini loaf pan manufactured? in the States or not? BEST ANSWER: Thank you for your question. The Mini Loaf Pan is made in China. We hope this information will be of help to you. BEST ANSWER: Thank you for your question. This item measures 9 1/2" x 13", you will need to measure your toaster oven before ordering to ensure this pan will fit. We hope this information will be of help to you. 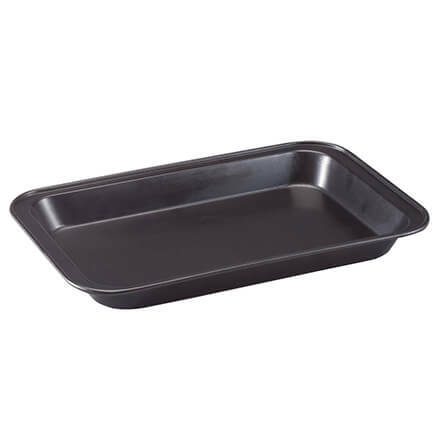 How long do you bake bread in these pans? I cooked my loaves for almost an hour as i did mini meat loaves, which were a hit with my family. Anything else i would follow the instruction cooking time. I thought that maybe because they were so small, they required less time. Thank you for your response. I have only done boxed brownies in mine so far and it and it does the same amount of time as the box recommends for cake like brownies.